'Snake in the Garden' is an article in Architecture New Zealand written in 2009 by Peta Nichols on the NZIA award winning snake storage units designed by architect Andrew Sexton for Hataitai Kindergarten. 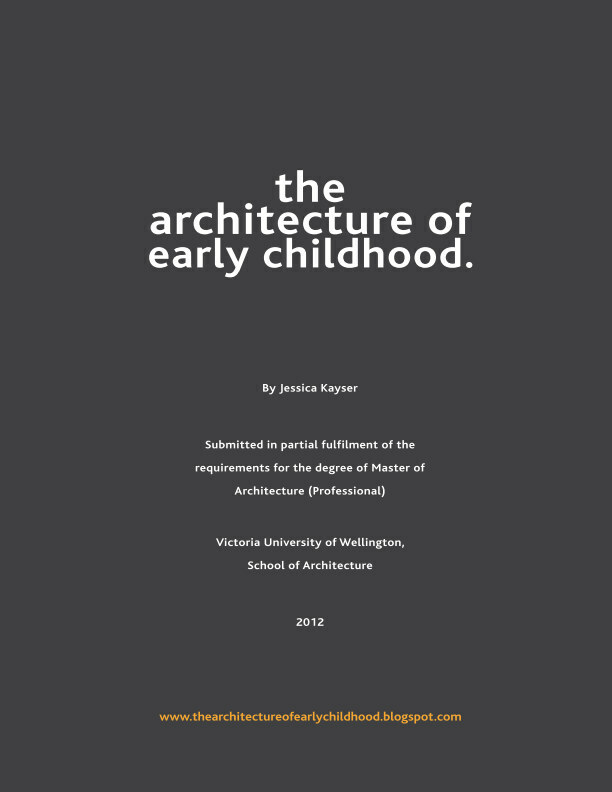 Nichols describes typical New Zealand educational buildings as exhibiting "grey lino, discoloured walls and pastel green and pink highlights", the architecture providing poor inspiration for children "developing, socialising and apparently discovering creativity." Rather creativity in the ECEC is "provided by the children themselves, via the abundance of art and exploration scattered throughout the mediocre spaces." 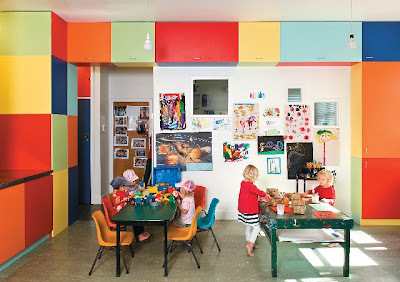 The snake-like storage fit-out cleverly rejuvenates the ECEC's interior space at a low cost. 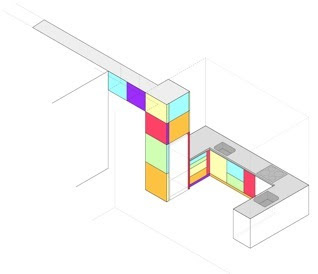 Creating subtle boundaries, emplacing thresholds between spaces, the brightly coloures scales fit into the overall kindergarten scheme. This project realises creativity and functionality with a playful approach. 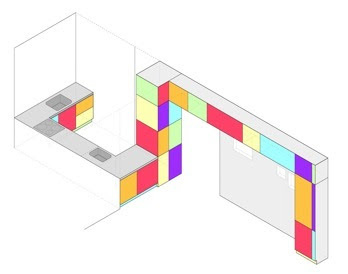 Andrew Sexton has proven that architecture can play a significant role in producing clever design solutions for improving early childhood education spaces.